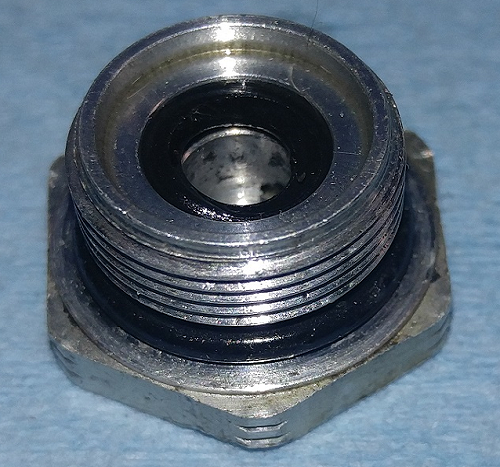 Muscle Car Research is proud to offer a rebuild kit for the Ford F6SC-2B091-AA proportioning valve assembly used on 1996 - 1997 Ford Thunderbirds and Mercury Cougars without anti-lock brakes (ABS). 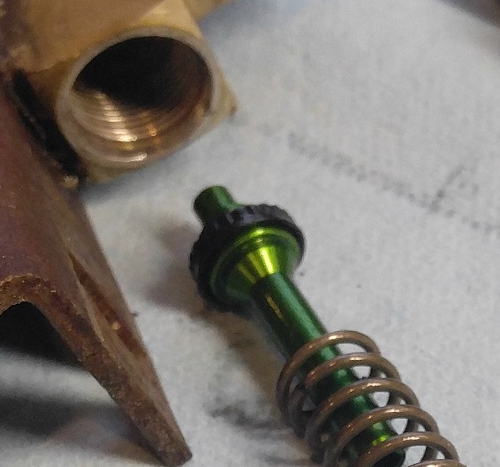 Our kit contains all of the parts needed to rebuild your leaky valves and return them to "like new" operating condition, including o-rings and retaining rings. 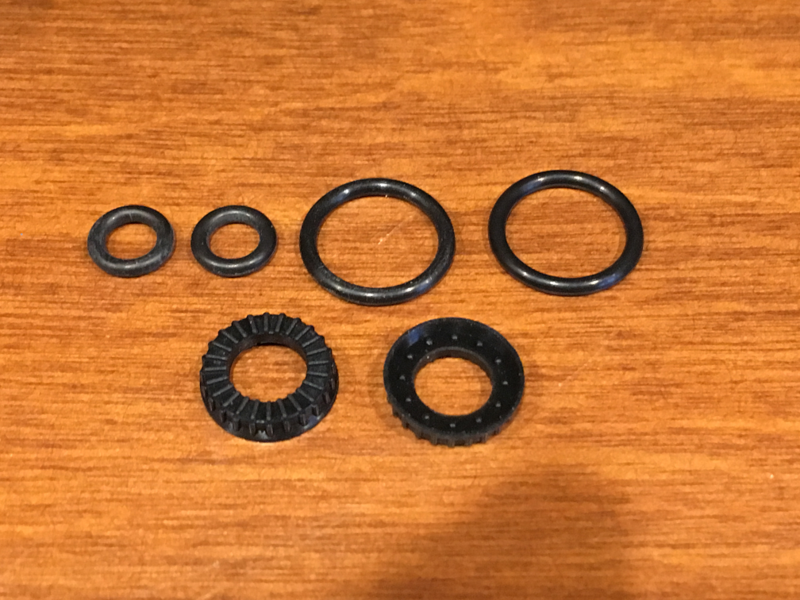 All of the rubber parts are molded from a 70 durometer ethylene propylene diene monomer (EPDM) rubber compound that is fully compatible with automobile brake fluid, and all parts are made right here in the USA! We do not currently have a rebuild article for the F6SC-2B091-AA proportioning valve assembly using this kit. See the pictures below for illustrations of the seal layout. Rebuild instructions for a similar valve are available and may be helpful. Dealer inquiries are welcome - please contact us for pricing.